For a free quote or booking, please fill in the form below and your local franchisee in Greensborough will be in touch with you shortly. Jim’s Car Detailing Greensborough is a mobile car wash and detailing franchise business servicing Greensborough and its surrounding suburbs. We come to you and detail your vehicle at your home or workplace, so don’t waste your valuable time waiting at a car wash. All work is done by a professional detailer at a location that best suits you. Jim’s Car Detailing Greensborough offers a wide range of services including inside and out cleaning, car seat steam cleaning, car carpet steam cleaning, full interior steam cleaning and detailing, cut and polishing, full and pre-sale detailing, headlight restoration, paint correction, paint protection, leather cleaning and conditioning, overspray removal and signage/sticker removal. We also specialise in truck detailing, bus detailing, boat detailing, caravan detailing, motorhome detailing and many other vehicle types. 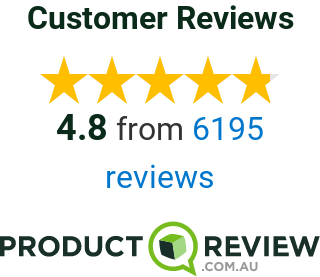 Review by Danielle: Happy Customer! “The local franchisee was super quick to respond to my online enquiry. He then turned up as per the booking made, on time and completed the work as asked. Our company car is was in a pretty poor state, and the cleaning job they did on it made it much cleaner so we could pass it on to the next staff member. Greensborough is a suburb of Melbourne, Victoria, Australia, 19 km north-east from Melbourne’s Central Business District. Its local government areas are the City of Banyule and the Shire of Nillumbik. At the 2016 Census, Greensborough had a population of 20,821.